After removing the screws, we find causes for both happiness and disappointment. 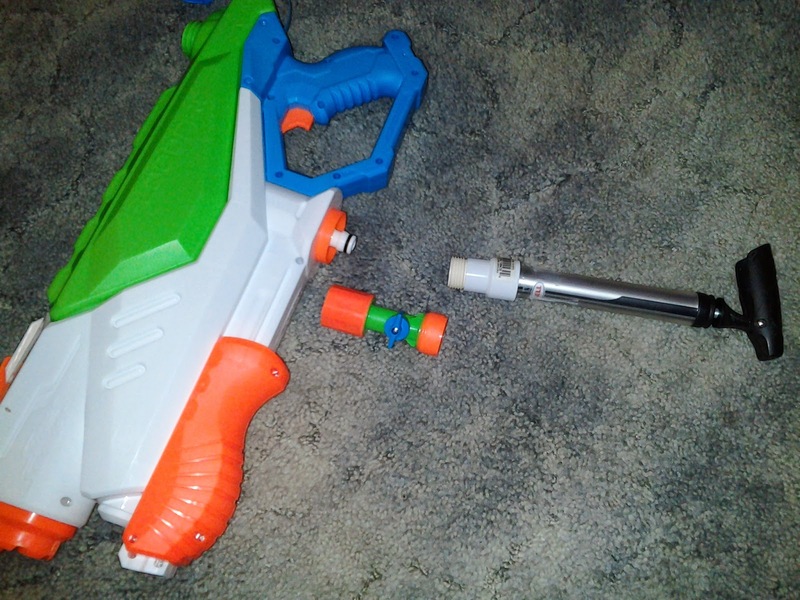 The trigger really does open a valve! However, it's only a release trigger if you're hooked to a hose. Without water pressure from a hose, the only way to spray is to hold the trigger, and THEN move the pump back and forth. That's correct - without a hose, it operates like any other main line Super Soaker, but you have to pull a tiny trigger the whole time. Anyone with large fingers will have a hard time using the trigger, while small ones will grow tired. There is also a glaring flaw after the valve. See all of those odd 90° turns? Those affect the flow of water to the nozzle, and hurt the cohesiveness of the stream. See this piece? It's not a second nozzle. 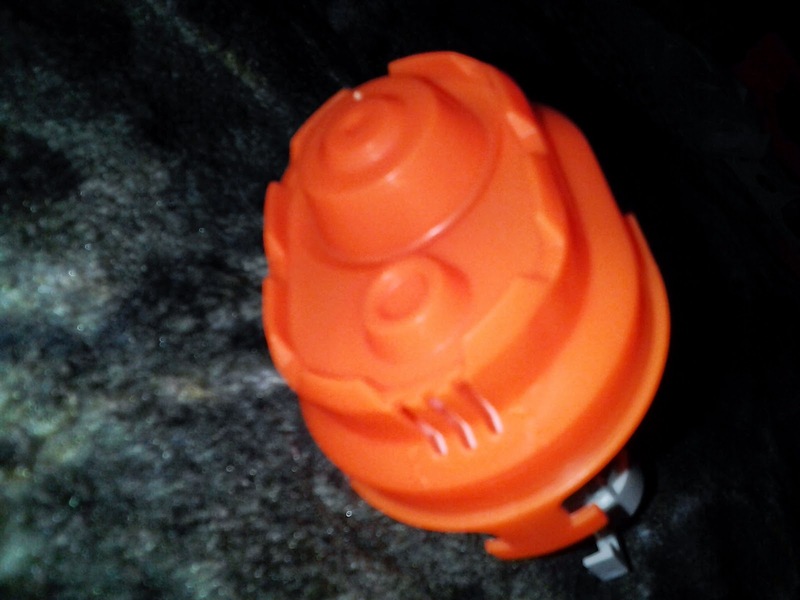 It's actually a pressure release valve for the reservoir, in case the water line pressure from the hose is too great. 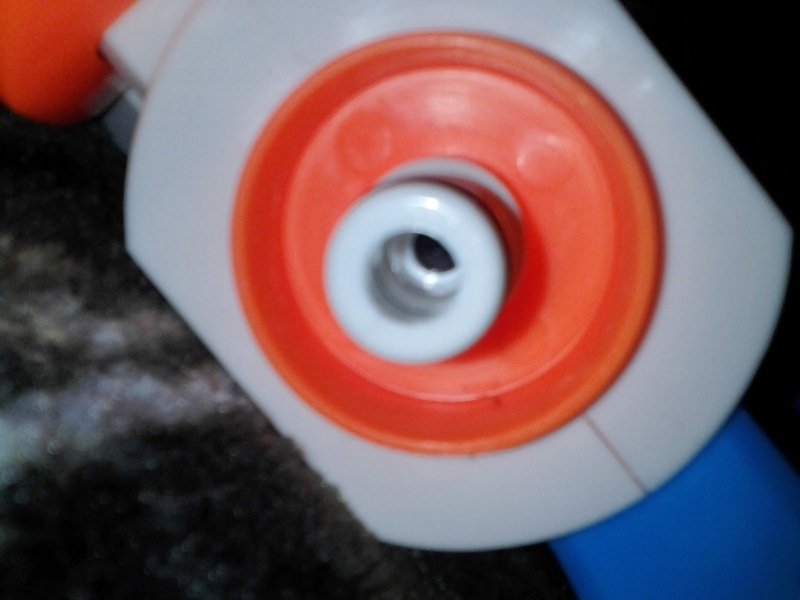 The relief valve bleeds out under the nozzle, as shown. 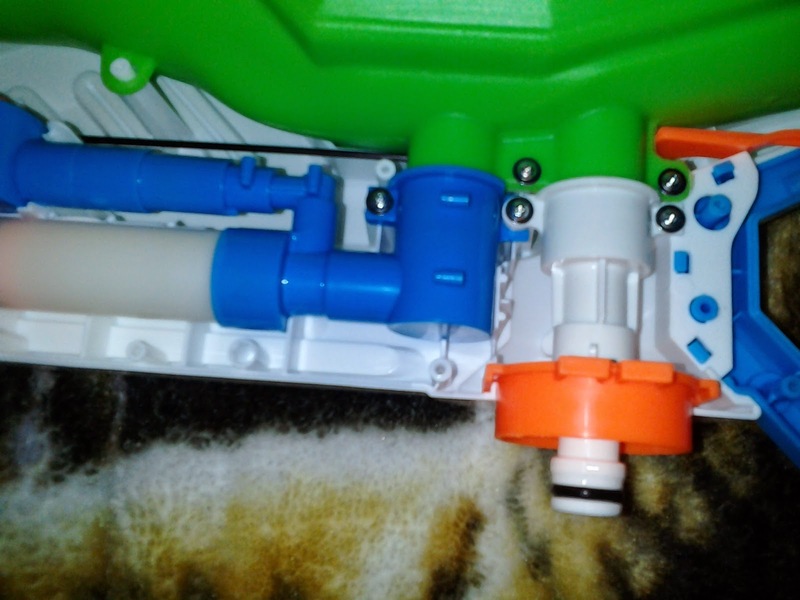 As for the hose input, it works in the same fashion as quick connect fittings for a compressed air line. The male connection is on the "tool", while the adapter acts as the female connection. 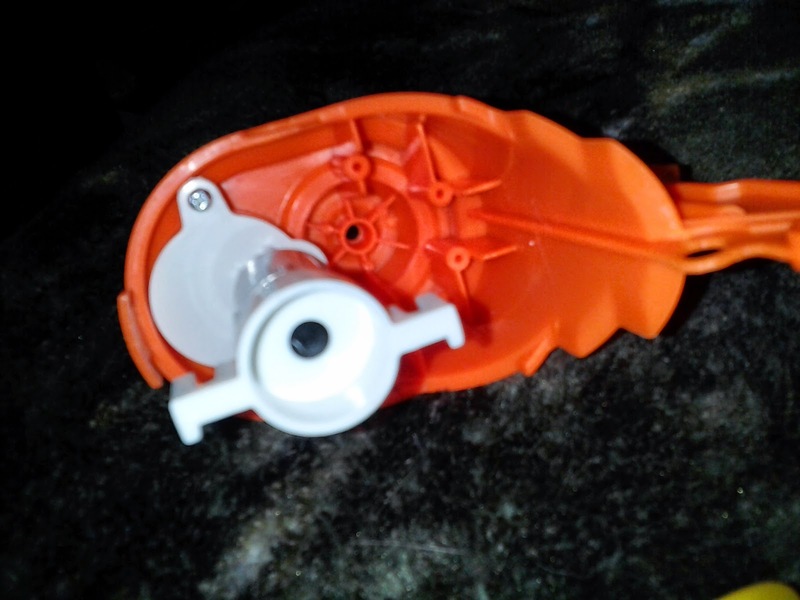 To connect and disconnect, pull back the orange sleeve and push the adapter over the input. The other end of the adapter fits over 3/4" hose fittings. 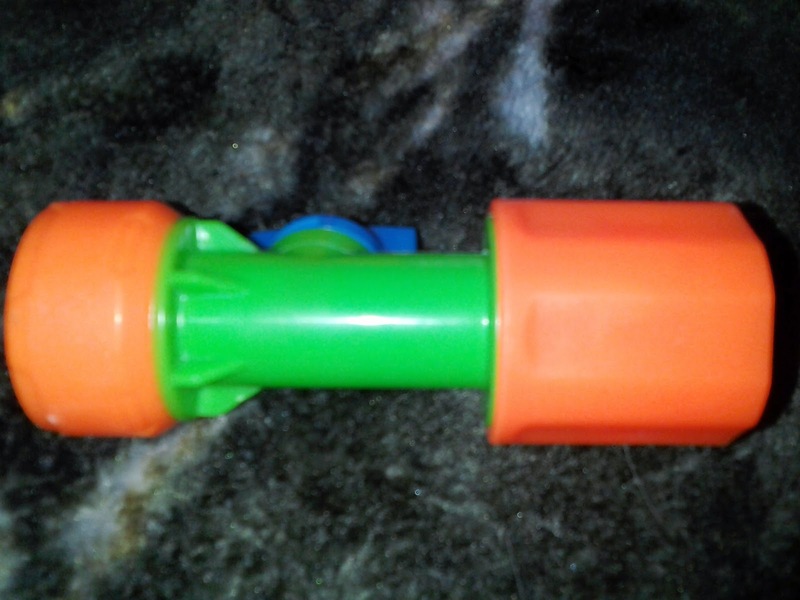 Since this blaster technically is meant for pressure, I used a few plastic fittings to connect a dual action pump to the hose adapter. Why not test using it as a classic Super Soaker? (Ignore the obviously unwieldy setup). 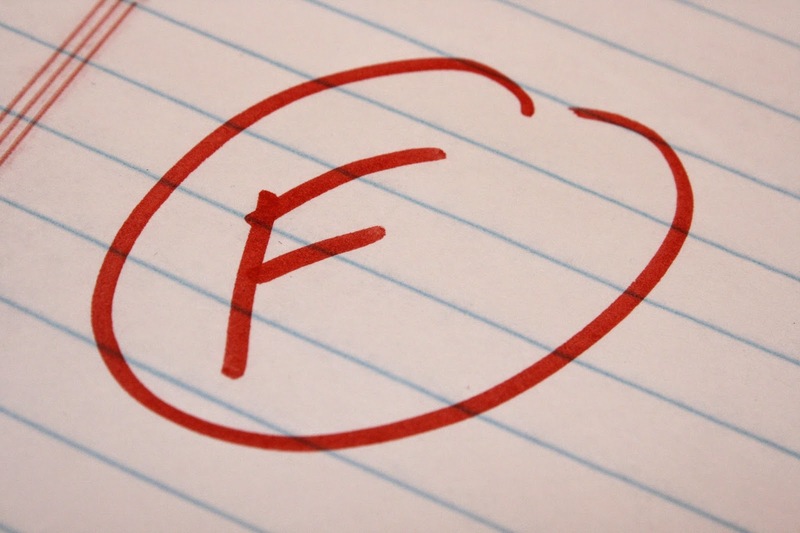 In all instances of testing, the Floodfire performed less than satisfactory. Using a hose, water went 30' at most. Manual use only saw useful amounts of water go about 20', and the impromptu air pump setup landed somewhere in between. In all cases, the angle of fire required to achieve those ranges was high, and the water stream went perhaps only 10' before losing all laminar flow. As anyone will tell you, a straight shot from the valve to the nozzle is needed for the best results, and the internals do NOT provide that. In addition, the angle of fire required for these ranges was so high that bad shots became an issue at only 1/3 of tank capacity. At that point, the outlet on the reservoir is above the level of the remaining water, and you'll get a misty spray at best. 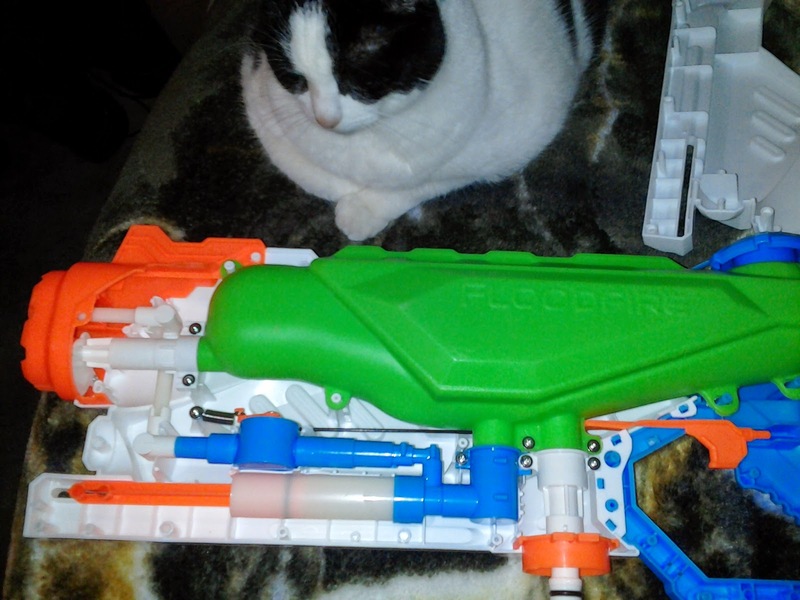 As is, this blaster (at least in my case) was terrible when not connected to a hose, and only slightly better when it was. 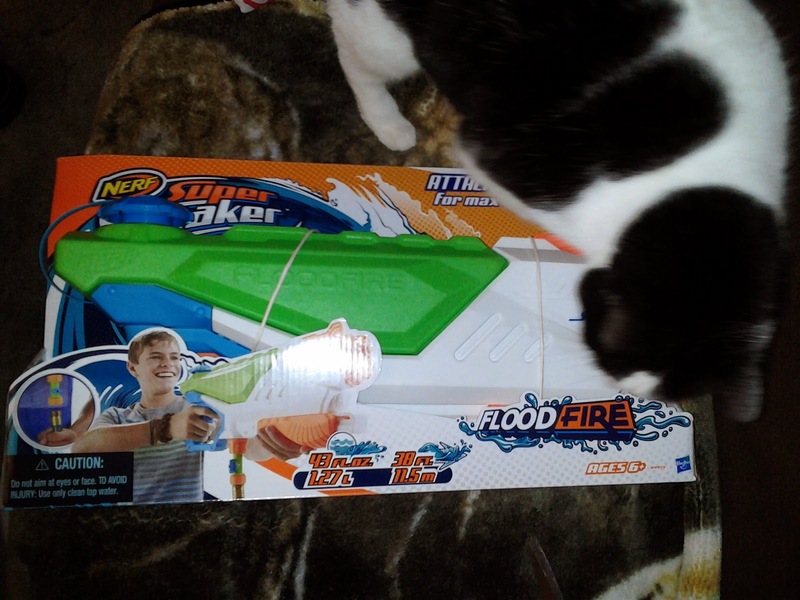 The capacity was ok (and unlimited if you're hooked to a hose), but the lack of power compared to the box's range claims and the low quality water discharge far outweigh any good points. This blaster is simply not worth the $25 on the price tag. 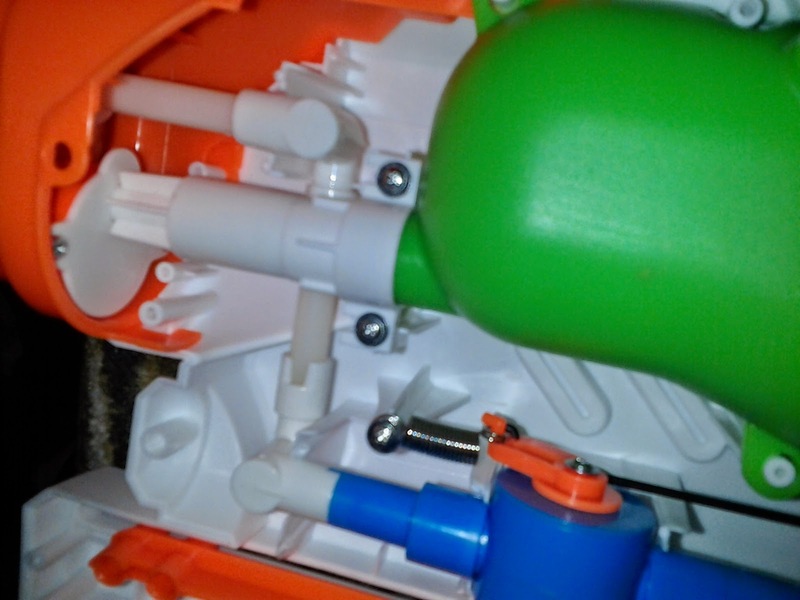 Perhaps with some creative work, it can be made into a decent blaster - after all, there is a trigger and valve, and the reservoir is made for pressure. But that simply shouldn't be required in order to get the performance you're supposedly paying for. 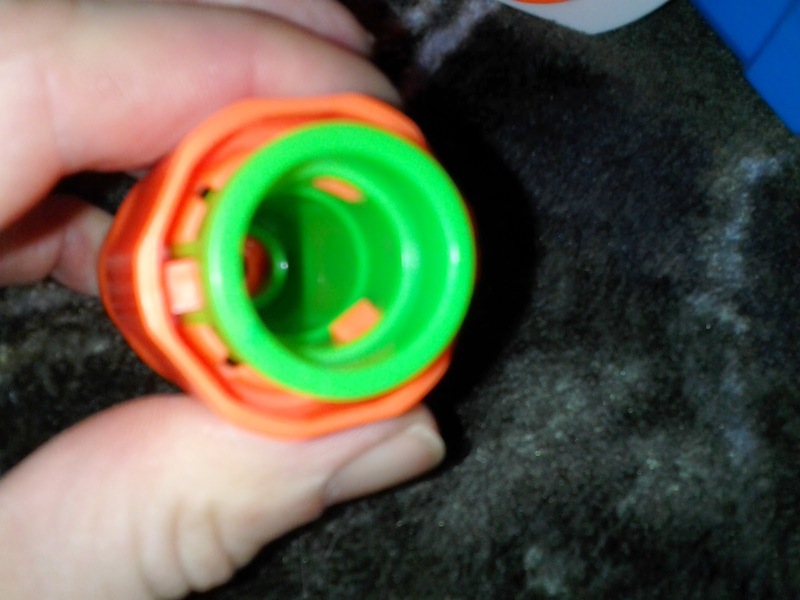 Would the quick connector fit a SC super soaker like the Power Pak or any SC Super Soaker?